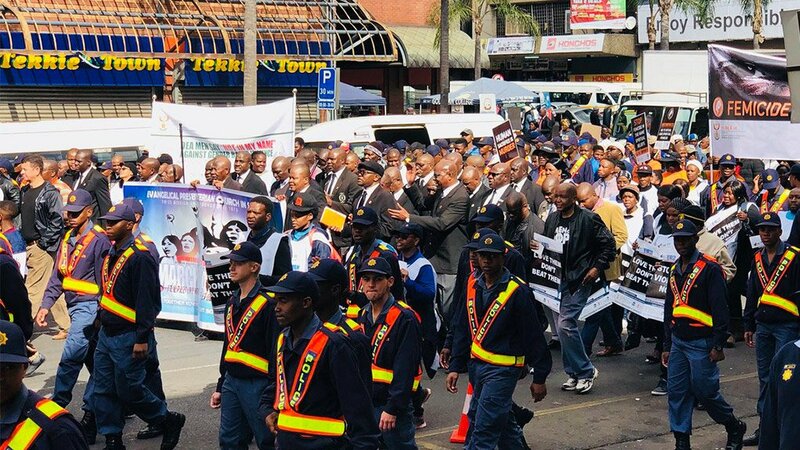 A strong number of men positively responded to government’s call for an end to gender-based violence and participated in the #100MenMarch which was held in Pretoria on Tuesday. Men and women marched through the streets of Pretoria to the Union Buildings where a pledge was signed by Ministers and dignitaries committing themselves to upholding no violence against women and children. Minister of Police Bheki Cele told the crowd, which was populated by police, that they should help victims of abuse and stop sending them home to resolve issues. "When these women come to the police station, don't encourage them to fix things with their partners, help them and arrest the perpetrators," Cele said. Executive Mayor of Tshwane Solly Msimanga, who was also part of the march, said they will make sure they win the battle against gender-based violence. "It can't happen that our mothers and sisters are killed at this rate and we are sitting and doing nothing, we will work with police and make sure we win this battle."